It’s the beauty of internships: sometimes they can open your eyes to a whole new path. 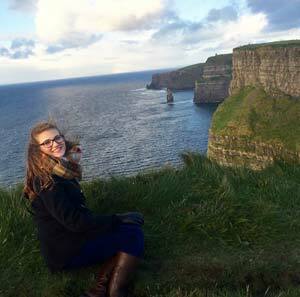 For Danica, an art gallery internship with ELI Abroad in Dublin was a pivotal starting point to a new career. Danica studied history and art history at university in Toronto. Art is something of a family passion, her mom is an art teacher, and Danica enjoyed visiting museums and galleries in her previous extended stays in Europe. Danica lived with a local family in Dublin and interned at an art gallery located in the heart of the city’s museum district., a few doors down from the National Gallery of Ireland and across the street from Trinity College. 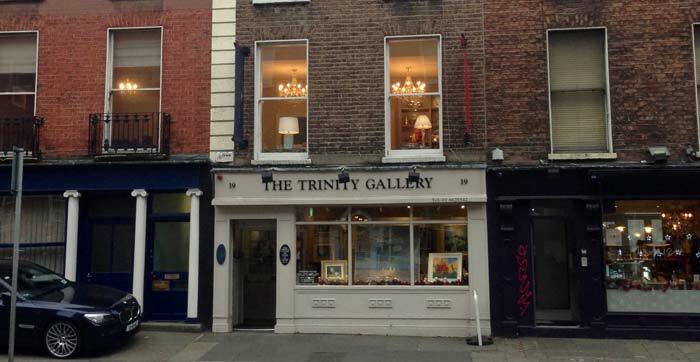 To help her get acquainted with contemporary Irish art, the gallery managers gave her books, shared information, and encouraged her to explore Dublin’s intimate arts scene. It was both a social and a learning experience. In the two and a half months Danica worked there, her gallery organized two large exhibits, which allowed Danica to observe, and take part in, the gallery research, cataloguing process and event planning. She was exposed to the active network of curators, specialists and art dealers involved large exhibitions; she learned about specific artists, how to showcase their work and how to handle different materials. One especially illuminating opportunity was to observe a large-scale art auction, where some pieces sold for as much as 200,000 euros. The art market opened Danica’s eyes. Inspired, Danica applied to several Master’s programs in Europe. A manager at the gallery wrote a letter of recommendation one professor/ program director later described as “very impressive.” She got into all the programs she applied to thanks, in large part she believes, to the experience and connections she made at the gallery. Today, Danica is back in Toronto, working as an office manager for a company that also asked Danica to plan events and design a showroom/corporate exhibit room. 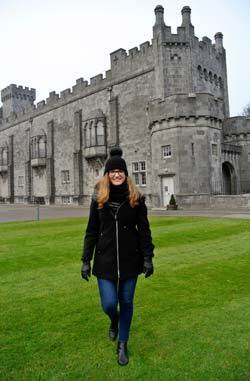 In September, she’ll return to Ireland to begin a Master’s program in Cultural Policy and Arts Management at University College Dublin. The work will be challenging, but Danica says, transition to life in Dublin won’t be. Are you thinking about interning in Ireland?